VANCOUVER, Oct. 29, 2018 /CNW Telbec/ – Curaleaf Holdings, Inc. (CSE: CURA) (“Curaleaf” or the “Company”), a leading vertically integrated cannabis operator in the United States, is pleased to announce that effective at market open today, October 29, 2018, the Company will begin trading on the Canadian Securities Exchange (“CSE”) under the ticker symbol “CURA”. In connection with the listing, Curaleaf raised approximately C$520 million (US$400 million) in an oversubscribed private placement offering led by GMP Securities L.P. and Canaccord Genuity Corp. (the “Co-Lead Agents”), on behalf of a syndicate of agents, including Cormark Securities Inc., Eight Capital and Haywood Securities Inc. This offering marks the largest cannabis equity financing completed to date. Listing on the Canadian Securities Exchange is a critical step in our growth trajectory. We are excited to make our mark within cannabis financing history through the overwhelming support of over 100 institutions internationally. 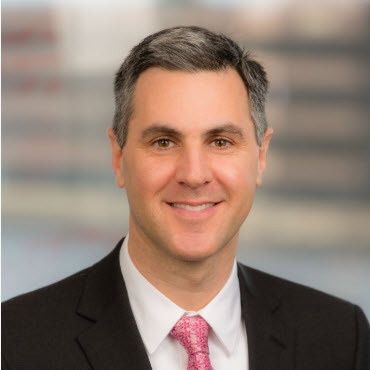 We remain committed to growing our business through aggressive organic growth and the strategic deployment of capital into accretive acquisitions that extend our brand into the most attractive U.S. markets. Curaleaf has a footprint that spans 12 U.S. states, comprising 28 dispensaries, 12 cultivation facilities and 9 processing sites. The Company, including subsidiaries and managed entities, operates in Arizona, Connecticut, Florida, Maine, Maryland, Massachusetts, Nevada, New Jersey, New York and Oregon, with licensing pending in California and Pennsylvania. 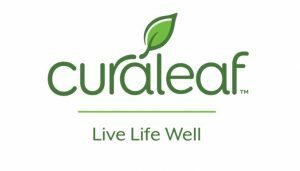 Through its team of physicians, pharmacists, medical experts and industry visionaries, the Company has developed the Curaleaf brand, a premium mainstream cannabis brand available in multiple states and product formats through its network of branded retail dispensaries. A listing statement with information about Curaleaf and prepared in accordance of the CSE is available on SEDAR at www.sedar.com. The Company is the parent of Curaleaf, Inc., is a leading vertically integrated cannabis operator in the United States. Headquartered in Wakefield, Massachusetts, Curaleaf, Inc. has a presence in 12 states. Curaleaf, Inc. operates 28 dispensaries, 12 cultivation sites and 9 processing sites with a focus on highly populated, limited license states, including Florida, Massachusetts, New Jersey and New York. Curaleaf, Inc. leverages its extensive research and development capabilities to distribute cannabis products in multiple formats with the highest standard for safety, effectiveness, consistent quality and customer care. Curaleaf is committed to being the industry’s leading resource in education and advancement through research and advocacy. Curaleaf Inc.’s Florida operations were the first in the cannabis industry to receive the Safe Quality Food certification under the Global Food Safety Initiative, setting a new standard of excellence.